Apple happens to manufacture devices and gadgets that the world will never get enough of, be it their smart phones, iPods or iPads. Each device by Apple has its own significance in life of its users but for today’s blog, we decided to talk about the iPad Pro 2018. Since this gadget is quite popular among people for the wide screen especially those who want to watch videos and play games. So, there are two screen sizes of iPad Pro that are available in the market: 11 inch and 12.9 inch. A lot of designers and app makers are focusing more on the before mentioned display sizes to design apps etc. 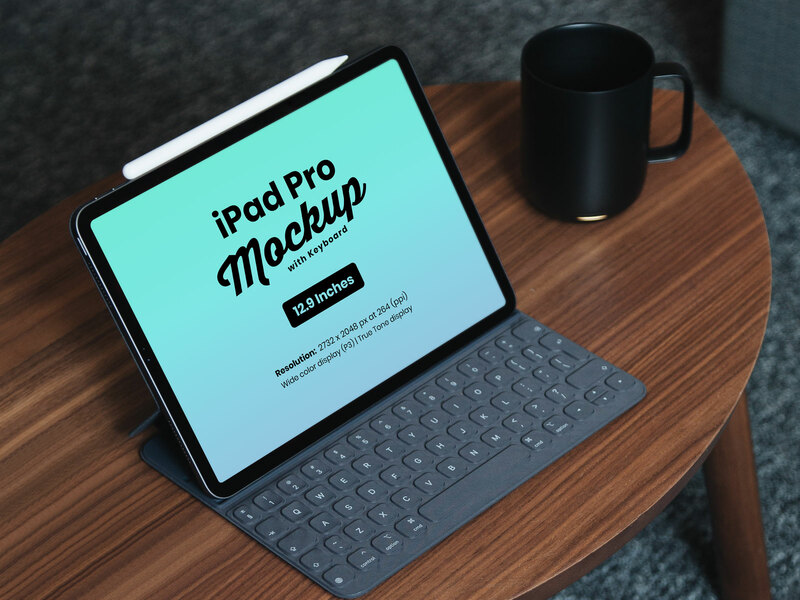 And for to cater the requirement, we have designed iPad Pro 2018 mockup for you to take advantage from. The best part about the PSD file is that it is free to download and easy to use. Research, get to know if your app is really new and not a single app like yours exists. Have thorough brainstorm sessions with your team members and evaluate the app yourself as a user. Know and understand your target well before you launch the app for them. Your mock up will help you and your client know how the app will look like once it is launched for the audience. Also, once you are done with the creative tasks, make sure that your developer team creates a animated prototype too so that the concerned parties can go through the design and understand the mechanism. Creating mockups really help the people know if the project is worth the creative efforts and money. And this is why we will always be there with amazing solutions to make your tasks easier. Download the PSD file for yourself and don’t forget to share it with your friends and colleagues as well.